Turn that small laundry room into usable and organized space! Oasis by JCB Contracting Inc. took out the plastic laundry tub and installed a complete base cabinet with built-in laundry sink, high-end long-nose coil faucet -- all at waist height for saving the backs of us taller folk. 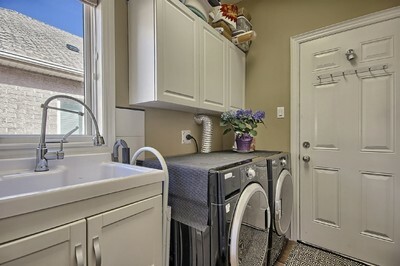 This laundry room is now an ideal space for pet grooming and every day laundry room errands.